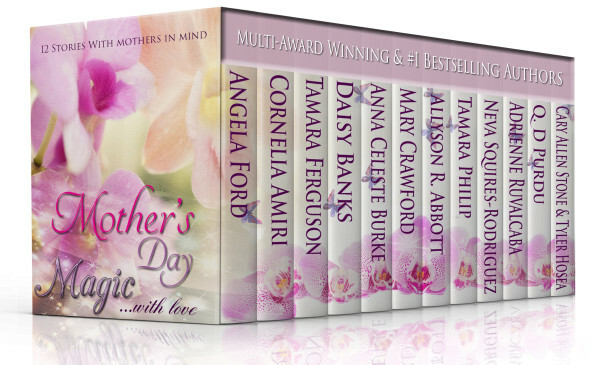 My thanks to you for showcasing the Mother’s Day Magic Boxed Set collection. A message from Allyson R. Abbott. I love to buy books as presents. I wanted to find a book that would let my mom know how much I appreciate her. As an author, I decided to write the story to say how much I love her. I told my friend what I had planned to do. Grace, also an author, wanted to do the same. We set out to write our two stories, but Grace suffers with MS and it became so bad she had to stop writing. 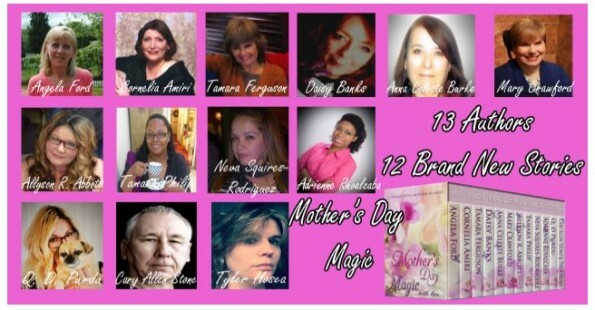 I sent out an appeal to authors worldwide to write stories for Mother’s Day, and to donate 10% of every book sold to MS. My call was answered by 13 special authors and our Mother’s Day Magic box set was born. Read these beautiful stories and help stop a crippling disease––MS!